If you’re looking or a new recipe, event and product reviews or just want to keep up to date with the latest news in the food world then Sweet Pea’s is the place for you. 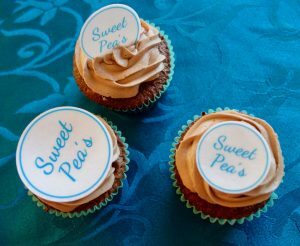 Started in 2014 after looking through other blogs for reviews, Sweet Pea’s now has over 80 recipes and was a finalist in the food and drink category of the UK Blog Awards 2016! I love to bake and when I’m not working for my local bakery as a sales assistant, I’m baking at home for fun or creating bespoke birthday cakes for customers (you can order cakes here). I try to make something different every week and so I’m always on the look out for new recipes and ideas. I attend loads of events in and around Cheshire where I live and the West Midlands where I grew up and I love an excuse to go further afield too! Make sure you don’t miss a thing by subscribing, following me on Twitter and Instagram and joining me over on Facebook. You can get in touch via my contact page.